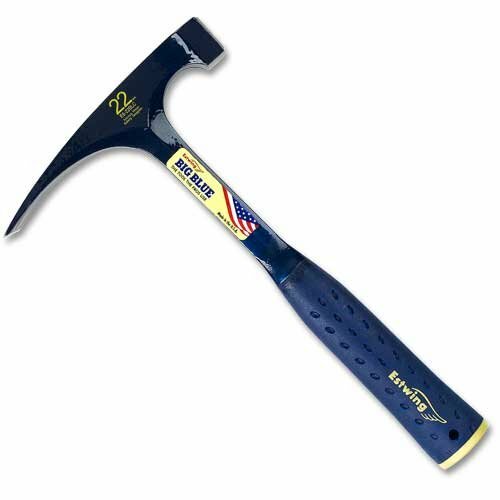 The Estwing Lapidary Rock Pick with chisel edge features a 1" square hammer surface. This allows for greater striking power. Hammer with chisel edge features a 1" square hammer surface for greater striking power. Chisel blade is 1-1/2" wide with a 7" long 20 oz. head. Handle is 12" long. Has a nylon shock reduction grip with an all metal construction. Perfect for collecting fossils and splitting bedded sedimentary rocks.